A South Yorkshire drug ‘courier’ whose dangerous driving led to a police chase, reaching speeds of 120 miles per hour, has been jailed for four years. 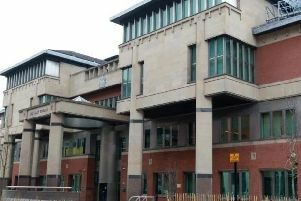 Shoaib Rasaq’s first set of offences were committed on February 17 last year, after a fellow motorist observed him driving his red Seat motor vehicle along Wortely Road, Sheffield erratically and on the wrong side of the road. “The motorist thought his vehicle was about to be struck in a head-on collision, but at the last minute the Seat managed to pull on to the right side of the road. But the speed was such that he rear-ended a silver Mercedes vehicle," prosecutor, Kevin Jones, told Sheffield Crown Court. Both Rasaq, 25, and the driver of the silver Mercedes were uninjured in the collision, but both vehicles were so badly damaged that they had to be written off. When officers searched Rasaq’s vehicle they found a total of 1,657 grams of cannabis across various packages, with an estimated street value of £10,530. They also found £18,600 in cash in bundles of around £1,000 in his gym bag as well as six mobile telephones, the court heard. Rasaq was still under investigation for the first set of offences when his dangerous driving, near to junction 25 of the M1 in Nottinghamshire, led to a police chase. Mr Jones told the court how the pursuing police car reached speeds of 130 miles per hour (mph) but they were still unable to catch up with Rasaq in his Audi S3 vehicle. Rasaq still did not stop when he ploughed into a Peugoet vehicle or when one of his tyres ‘came off,’ forcing him to drive on the affected wheel’s alloy. Officers from South Yorkshire Police became involved in the case when he sped into the county. He eventually stopped his vehicle after damaging pursuing police vehicles, and attempted to run away. Rasaq failed to cooperate with police as they attempted to arrest him, and he was tasered. A search of Rasaq’s vehicle revealed he was travelling with a stash of cannabis with an estimated street value of £12,786 as well as £635 in cash. Rasaq was therefore found to be in possession of cannabis worth £23,316 over the two incidents. Rasaq, of Doncaster Road, Rotherham pleaded guilty to two offences of possession with intent to supply cannabis, two offences of dangerous driving and one offence of possession of criminal property, relating to the cash he was found with. 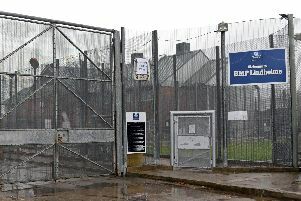 The court heard how Rasaq entered guilty pleas to the drug offences on the basis that his involvement was limited to the role of a courier, which was accepted by the Crown Prosecution Service. Rasaq has previously been convicted of offences including possession with intent to supply cocaine and heroin and possession of a bladed article. Imran Khan, defending, said Rasaq’s best point of mitigation was his early guilty pleas. The Recorder of Sheffield, Judge Jeremy Richardson QC, jailed Rasaq for four years, and banned him from driving for five years. “Although you are a courier, I have no doubt whatsoever that you are involved in the supply of drugs in a material way,” Judge Richardson told Rasaq.